These broccoli bites are super savory! 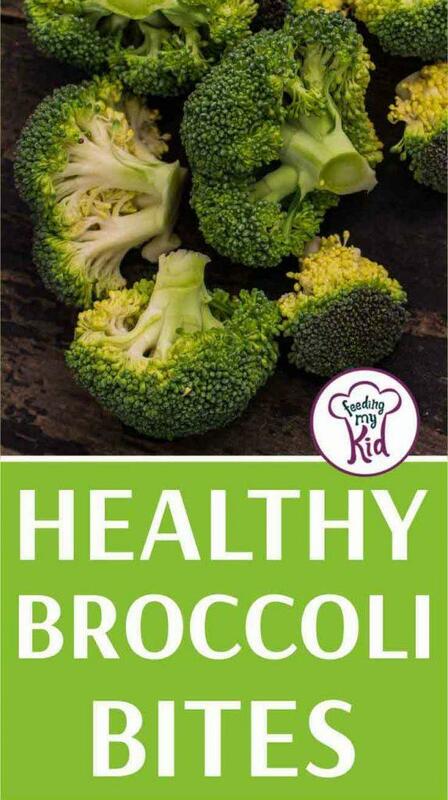 They have the broccoli cut up in small pieces so your kids will get used to the flavors and texture easily. The great thing about these broccoli bites is that you can make them ahead of time and save them for the week. Grab one as you leave out the door or pack a few for lunchtime. They’re so easy to make and perfectly portioned thanks to the muffin pan. Make sure to spray beforehand so they don’t stick. You can also season these bites however you want (paprika, oregano, garlic powder) or stick with the purist form and just use salt and pepper. These broccoli bites are seasoned and have the tasty bite of cheddar cheese. Not only will your kids love them, so will you! It’s like having a broccoli and cheddar soup but in snack form. 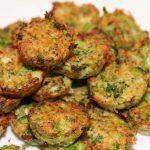 These broccoli bites are an easy and healthy finger food. Make them ahead of time for a grab-and-go snack. In a large saucepan, bring half a cup of water to a boil. Pace the broccoli in the water and reduce heat to medium. Cook for 6-7 minutes, or under it's tender enough for a fork to go through. Set aside to cool slightly. Drain as much water as you can from the broccoli and then chop it up. In a large bowl, combine all your ingredients and season with salt and pepper. Baked for 15-20 minutes. Let cool for 10 minutes before sliding a knife around the edges of each muffin tray to slide them out. Enjoy!